The Wood River Valley is one of the most sought after vacation destinations in the lower 48. Sweeping valleys, towering snow-capped peaks, and dense forests give families endless options for outdoor exploration. 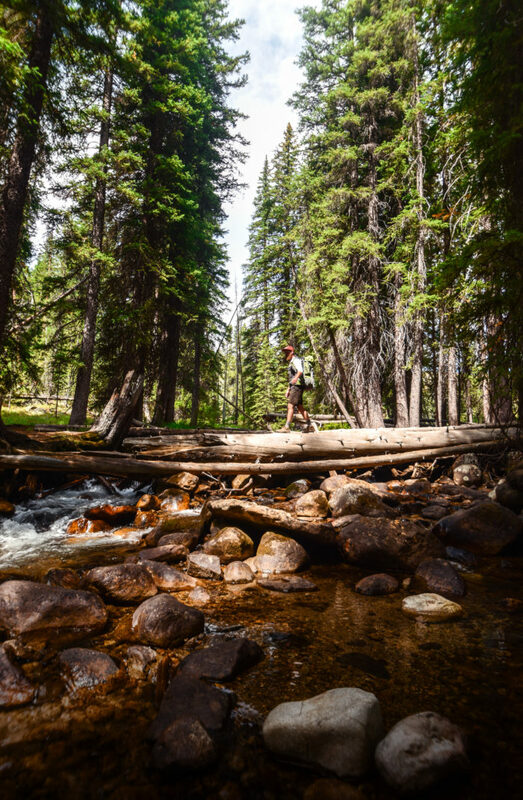 It’s no wonder this area receives so much attention; the region is home to the Sun Valley Resort, the Sawtooth National Recreation Area, and portions of the Sawtooth National Forest. 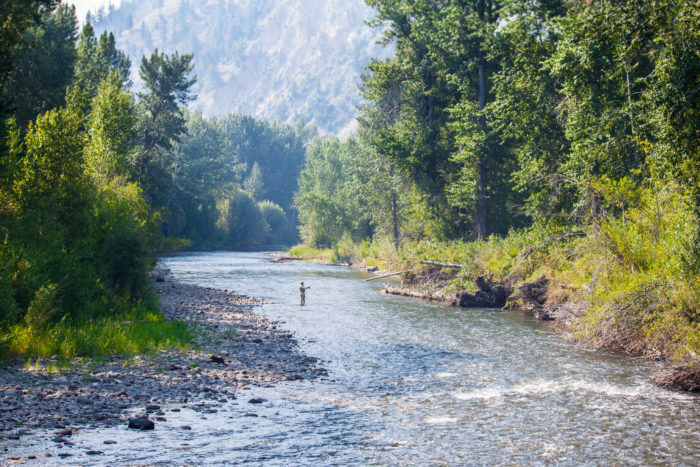 Whether you’re looking to scour remote wilderness, take the kids camping, indulge in savory cuisine, or teach your kiddos how to cast a line in a winding river, the Wood River Valley has plenty to explore. The itinerary below is a great starting point for a first time family visit to the Wood River Valley. The Wood River Valley is accessible by Interstate 84 to the south and west connecting on either Idaho State Highway 75 or 20. The region is roughly a 2.5-hour drive from Boise and about 5 hours from Salt Lake City. You can also reach Sun Valley via non-stop air service from Los Angeles, Seattle, San Francisco, and Denver seasonally. Non-stop air service also connects Sun Valley to Salt Lake City year round. Morning: When you arrive in the Wood River Valley, stop in Sun Valley, Ketchum, or Hailey to grab a hotel room. There is a wide range of options to choose from, however, no matter where you decide to stay, I would recommend calling ahead to make reservations – the Wood River Valley is a popular destination no matter the season. 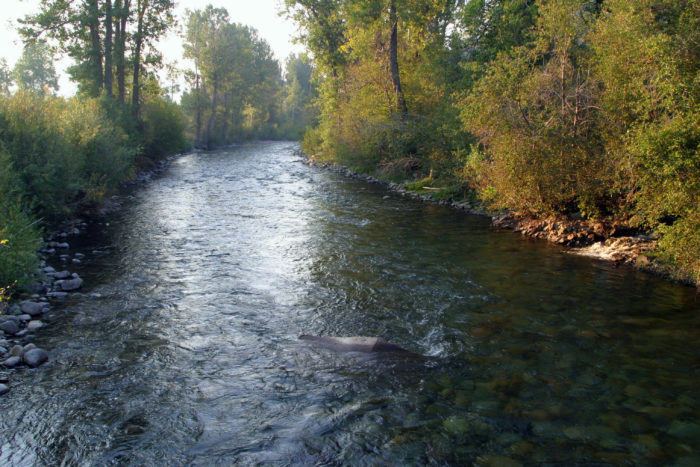 You can venture over to the Wood River Inn, the Best Western Plus Kentwood Lodge, the Sun Valley Lodge, or the AmericInn Lodge & Suites in Hailey. Once, you’ve checked in, swing over to Perry’s Restaurant in Ketchum, which was recently voted, “Best of the Valley” by Wood River Journal. Be sure to try the french toast for yourselves and order the chocolate chip pancakes with whipped cream for the kids. A view of the Big Wood River. Afternoon: After you’re done filling your bellies with scrumptious breakfast treats, head to Hailey and let the kids ride their bikes at the Hailey Pump Track (1020 Fox Acres Road). The Hailey Pump Track is made of dirt and clay rollers and berms – this off-road biking playground gives your kids a perfect place to burn some energy, be active, and develop exceptional off-road biking skills. Evening: Wrap up your first day in the Wood River Valley with a relaxing soak in a nearby hot springs. There’s a long list of local hot springs in the Sawtooth National Recreation Area, which is only 15 minutes from Sun Valley. Some of the more popular hot springs are the Easley Hot Springs, ElkHorn Hot Spring, Russian John Hot Springs, and the Sunbeam Hot Springs. My personal favorite is the Easley Hot Springs – it’s a family friendly swimming complex powered directly by the hot springs and it’s open every year from Memorial Day to Labor Day. Easley also boasts a massive swimming pool with an epic view of Boulder Mountain and two hot tubs. Relaxation at its finest. You can view the full list of hot springs options in the Wood River Valley here. Morning: After a relaxing first day in the Wood River Valley you’ll want to crank up the adventure. Since your second day will be action-packed, you’ll want to make sure you have a hearty breakfast. Stop by Wrapcity Cafe for a protein packed breakfast wrap for you and the kids. Wrapcity dishes out creative wraps, salads, and breakfast combos, and best of all, they can be made to go, and they are affordable – win, win for a family on the move. Riding the chairlift to the top of Bald Mountain. Afternoon: Head over to Bald Mountain to ride the summer lift. The gondola ride to the top of Bald Mountain is astounding with sweeping panoramic views of the lush Wood River Valley. Mountain biking in Sun Valley. The peak stands at a whopping 9,150 feet and often has a cool breeze up top, even during the summer months. Explore the mountain with the kids or enjoy a free gondola ride back to the bottom of the mountain. You can download the summer trail guide here. Be sure to check the lift schedule – the typical season runs from June 27th through mid-September from 9:00 am to 4:00 pm every day. 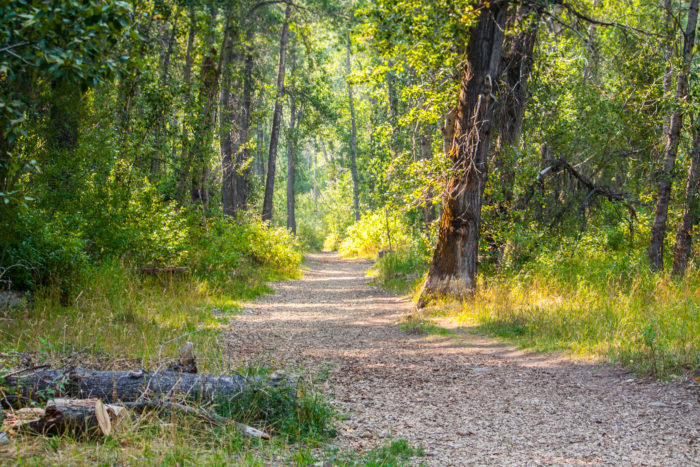 Evening: Cap your day off by exploring the famous Wood River Trail System. These trails are paved, multi-use pathways that connect all of the communities in the Wood River Valley. During the warm summer months families can bike, walk, jog, and inline skate from one city to another while taking in scenic views of golden, rolling mountains and towering aspen trees. Taking in the views and casting a rod in the Wood River Trail System. 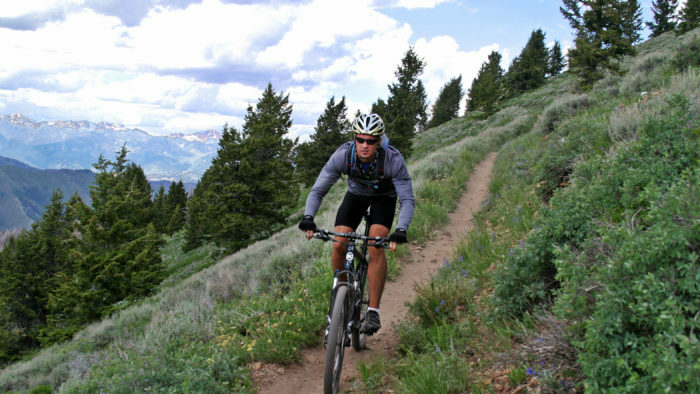 There are over 30 miles of paved pathways and services are available in Ketchum and Sun Valley. 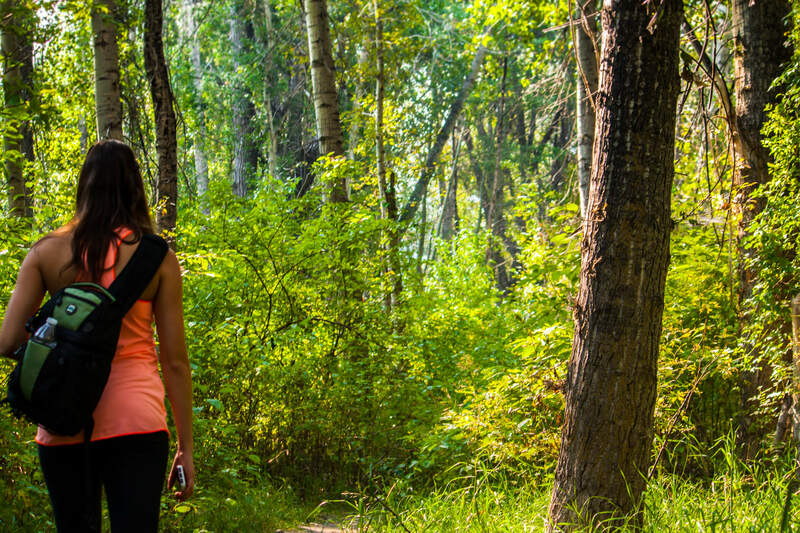 These trails are perfect for exploring the area that stretches between Hailey, Ketchum, and Sun Valley. Walking through the Wood River Trail System, searching for arborglyphs. You’ll likely see die-hard roadies and easygoing hybrids with children on every day of the week. Ride or walk next to Big Wood River, sift through fields of Aspen trees, and run over small hills that lead to many excellent mountain bike single tracks. The Wood River Trail System near Ketchum. You can get free maps and trail guides at the local chambers of commerce, at Hailey’s recreation district office, or at any sports store in the nearby area. Bike rentals are also available for your day of exploration in the Wood River Valley. You and the kids can rent downhill bikes, road bikes, bike path bikes, kid bikes, and tag along. Rentals for a full days worth of riding typically sit in the $20 range per bike. To view the full list of options visit Sun Valley online. Enjoy the beauty of the Sawtooth Botanical Garden while soaking in the views of the surrounding mountains. There’s a gorgeous Tibetan pavilion, sculptures and water features that are sure to leave you breathless. 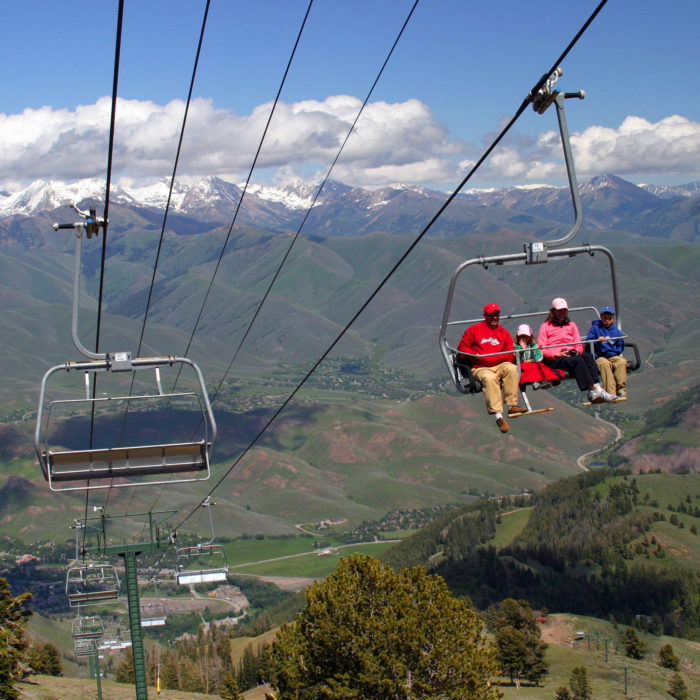 Certainly worth a stop as you head to or from Ketchum in the late spring and summer months. The Sun Valley Center for the Arts has a gallery in downtown Ketchum with a wide variety of shows, lectures, demonstrations, and performances year round. The center also sponsors various classes, plays, and concerts and is fun to visit no matter the time of year. Pack a lunch for your time out on the trail – if you pack food and ample amounts of water, it will save you a trip into town. Be sure to stop in for a bite to eat and a cold brew at Sun Valley Brewing Company. The brewery serves 12 locally made beers and has an excellent menu with mouthwatering cuisine for you and the kids. If you just want to stroll around town, sip on your coffee and see the sights, I recommend wandering through downtown Ketchum and Sun Valley. Both cities have excellent shopping and unique antique stores with items you won’t find anywhere else.